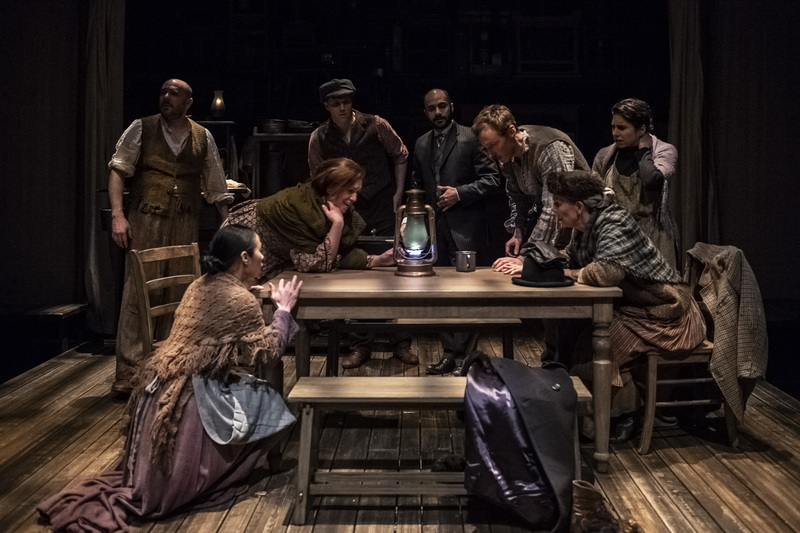 Cornwall, 1889: The ensemble of “Oil” by Ella Hickson at Olney Theatre Center. A mother, a daughter, a worldwide dependence on a finite fossil fuel. 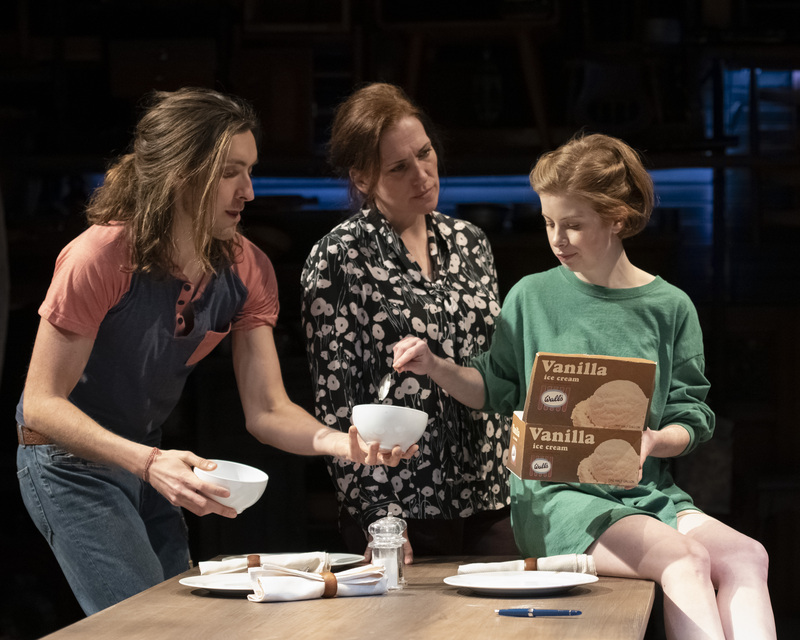 The American premiere of British playwright Bella Hickson’s “Oil” is at Olney Theatre Center for the Arts (OTC), spanning centuries and continents within the confines of the Mulitz-Gudelsky Theatre Lab using 10 actors, three languages and a healthy dose of magical realism. 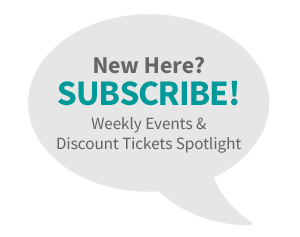 That’s because “Oil” is a play that defies genres, focusing on the lives of a mother and daughter — May, played by Catherine Eaton, and Amy, Megan Graves — and following the age of oil from its start in 1889 to a point in the not-too-distant future. To dramatize that idea, Hickson takes liberties with time and place. “Every scene in the play takes place in a different country and a different time frame,” explained Corey, who plays three “kind of related” characters as the play unfolds in five separate but connected playlets that move the action from 19th century rural Cornwall to Tehran, London, Baghdad and back again to Cornwall. As the action unfolds, intimacy and worldwide scope are juxtaposed, with a mother-daughter dynamic set against universal ideas like feminism, environmentalism and imperialism. For Megan Graves, it’s a perfect pairing. “There are a lot of big concepts in the show, but they’re all communicated through the lens of a mother-daughter relationship,” said Graves, a Phoenix native who moved to Alexandria, Virginia at 13. “So actually it ends up being very intimate, which makes it perfect for the Lab. 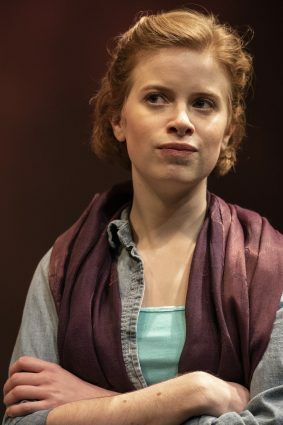 “On the macro level, sure, there are a lot of big questions being asked, but on the micro level, it’s about two women encountering the intensity of their connection.” Graves, who has a bachelor of fine arts degree in acting from Shenandoah Conservatory, is making her OTC debut, as is Eaton, who plays her mother. For Corey, it started even earlier. “I loved performing, ever since I was tiny,” she explained. “I knew it was what I wanted to do.” Growing up in a musical-artistic family, she said, music was “a big thing. “My dad did a cappella at Princeton, where he went, and I went, and my little brother. He did a lot of theater, and his mother was a piano teacher.” Corey’s paternal grandmother emigrated from Beirut; not only did she teach her family to play the piano, she gave Corey an early head start on the Arabic one of her characters, Aminah, uses in the play. As Ana she speaks Persian, or Farsi — and Anne and Amina both speak English with different dialects. Corey and Graves both said that while “Oil” is brilliant and intricate, it comes together thanks to its strong director, innovative crew and tight-knit cast. Blocking in the lab? 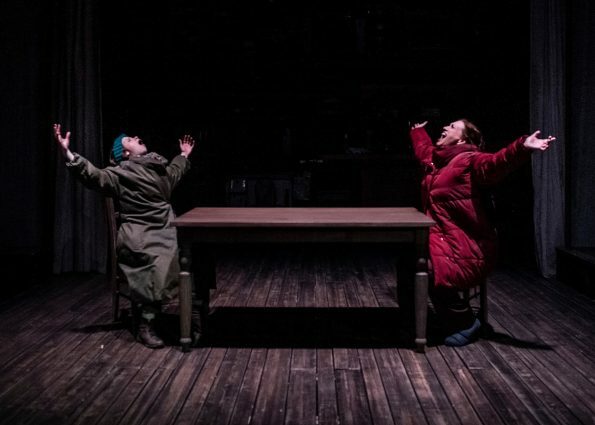 “It’s like Tetris,” she laughed, noting that “for a contemporary play, 10 actors is a lot — but it doesn’t feel like a small stage space. Our director is incredibly adept at tricky staging. “Oil” runs through March 31 in the Mulitz-Gudelsky Theatre Lab at Olney Theatre Center for the Arts, 2001 Olney-Sandy Spring Road, Olney. 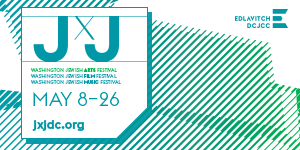 Performances start at 7:45 p.m. Wednesday through Saturday and 1:45 p.m. Saturday and Sunday. A Sign-interpreted performance is set for 7:45 p.m. Thursday, March 21. 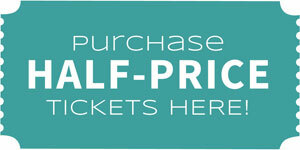 Tickets begin at $54, with discounts available for groups, seniors, military and students. 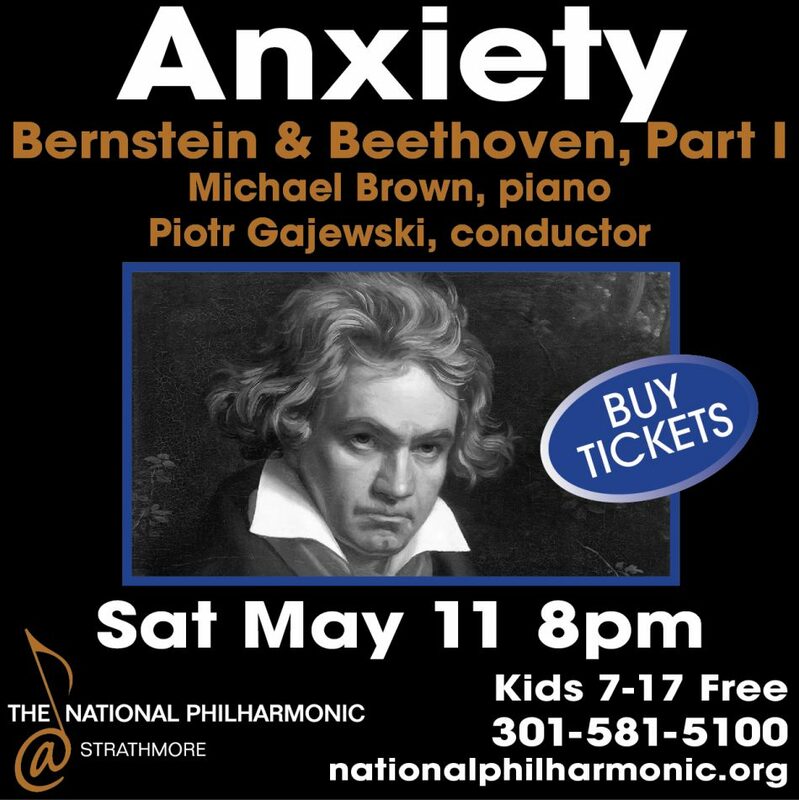 Call 301-924-3400 or visit www.olneytheatre.org.